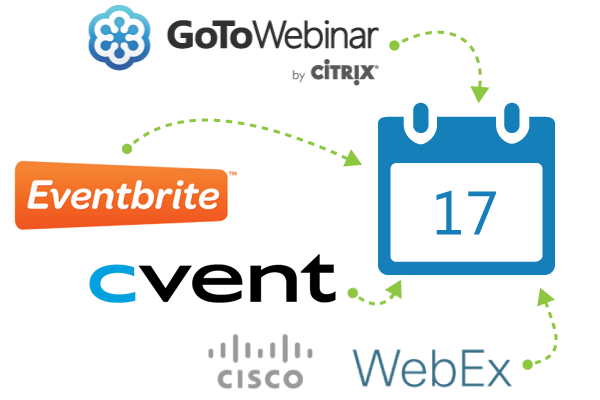 As part of the ClickDimensions solution, we offer connectors to the popular online event management systems GoToWebinar, WebEx, Cvent and Eventbrite. Our event integrations boast a “set it and forget it” design that automatically imports registration and attendance information into CRM. Once ClickDimensions is connected to your GoToWebinar, WebEx, Cvent and/or Eventbrite account, your event information including the sessions, registration, attendance information, attendee interest levels, questions/answers and more is automatically synced into Microsoft CRM.